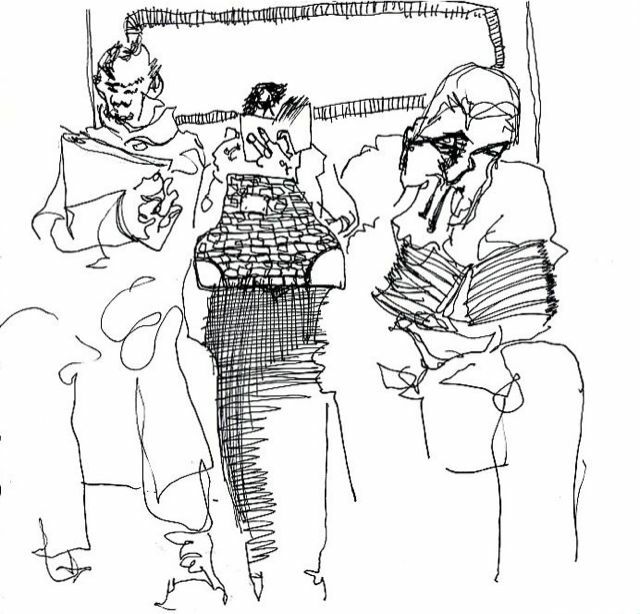 A series of rapid, 30 second sketches of people I drew as the train whizzed past their stations (I was on the train). The speech bubbles are courtesy of Weezer, which I was listening to on the iPod. I still think their first album is the best.